Students are always excited to showcase their learning but when coupled with using the technology they love this excitement is even greater. In today’s post we are sharing with you a collection of some educational iPad apps to use in your class with students to enable them to demonstrate what they have learned. They can do this through different modes: audiovisual, pictorial and/or textual. 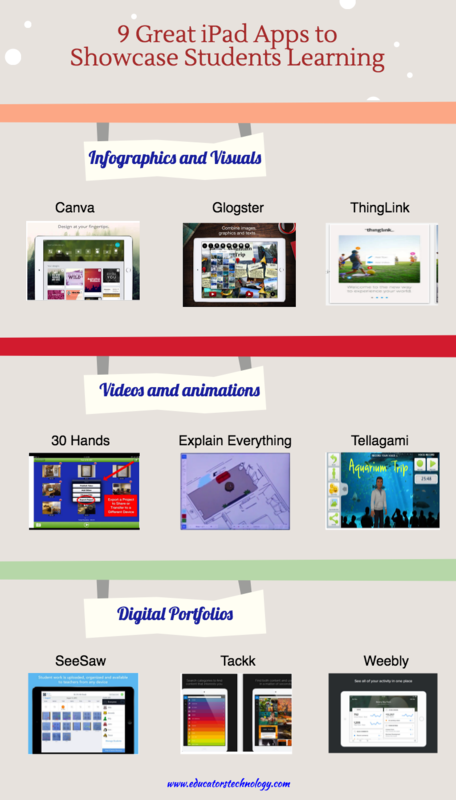 We arranged these apps into three main categories: apps for creating posters and infographics, apps for creating videos and animations and apps for creating digital portfolios. We invite you to check them out and share with your colleagues.